As you know, I tend to avoid the Strip like the plague. I make an exception this past week for my nephew’s graduation dinner. Hard to believe he’ll be 18 soon, much less that he just finished high school. 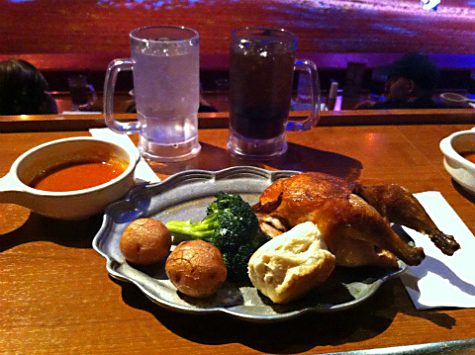 To celebrate we went to the Tournament of Kings show. It was awesome! 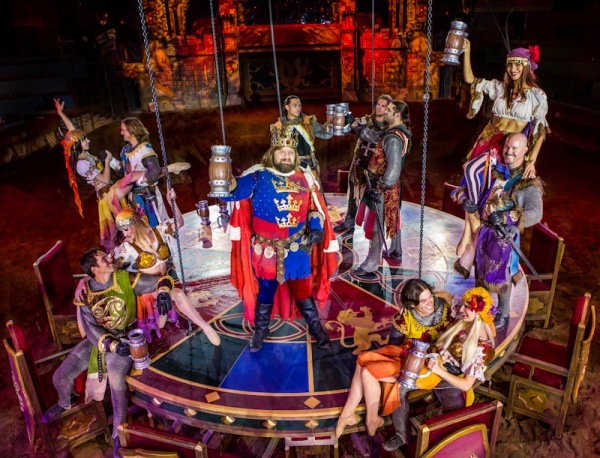 Who doesn’t love dinner and a show with King Arthur, knights, wenches, jousting, epic sword fights and evil wizards? Which you eat with your hands. Because they didn’t have silverware in the middle ages. …. and never you mind about the plastic beer mugs and wet wipes. This whole notion of eating with one’s hands did not sit well with my niece. This entry was posted in Family, Life Happens. Bookmark the permalink.